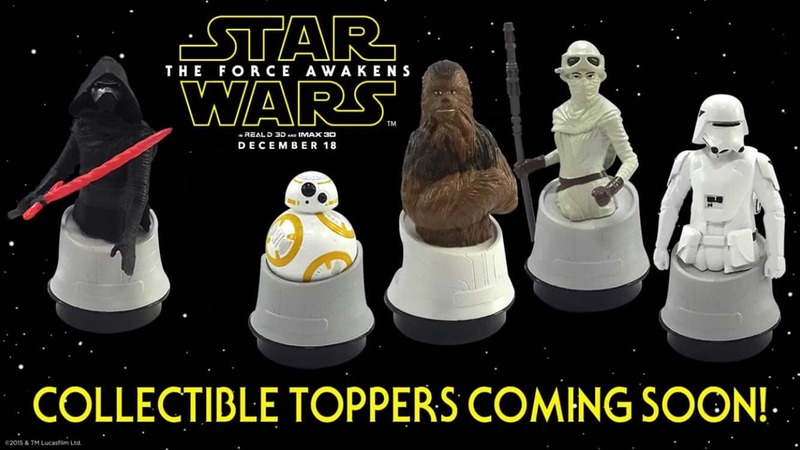 Star Wars: The Force Awakens Collectible Toppers From Regal! Looks like Regal has some really cool new Star Wars: The Force Awakens promotional items to sell in theaters! They will be offering collectible cup toppers including Rey, Chewie, Kylo, a snowtrooper, and BB-8! Click HERE to see if your local theater will be selling them.